In order to promote Pakistan’s thriving tourism industry, the government of Pakistan is inviting a group of six leading tourism companies of Sichuan Province to visit Pakistan. The delegation, among others, will include Chairman of Chengdu Travel Agency Association/Sichuan China Travel Service; President of Chengdu Universal International travel Service Co. Ltd.; President of Chengdu Overseas Travel Co. Ltd.; and General Manager of Bets Travel Service Sichuan Co. Ltd. The delegation will also include General Manager of China Tourism International Service (CTIS), the leading public sector tourism company in China. The government of Sichuan, as an effort to open tourism ties with Pakistan, selected the reputable companies to visit Pakistan. The visit is scheduled in the third week of June and the delegation will visit some of the most breath-taking sites in Pakistan’s Northern Areas including Hunza, Karimabad, Lake Saiful Maluk, Texila and Islamabad. 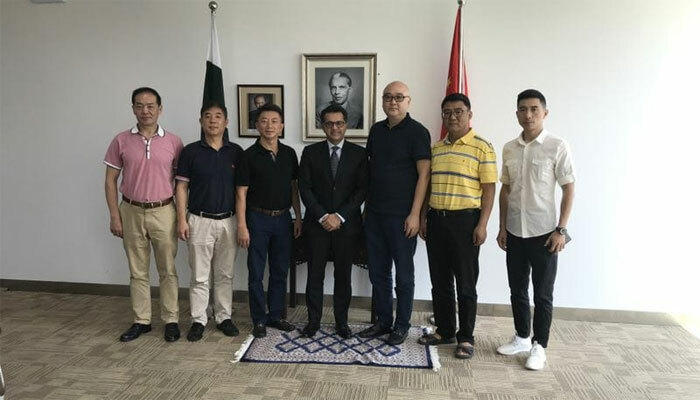 The Consul General of Pakistan in Chengdu, Muhammad Mudassir Tipu, invited the heads of the visiting tour companies to the Consulate General and gave them briefing on their visit to Pakistan. The tourism companies thanked the Government of Pakistan for organizing the visit and hoped that this visit will open new vistas of understanding of Pakistan and go a long way in opening-up tourism ties between Pakistan and Sichuan. The tour companies will also meet their counterparts in Pakistan and explore the possibility of establishing formal relationship between tourism companies of Sichuan and Pakistan. Sichuan is China’s Western province with abundant natural and cultural heritage. In addition to the habitat of the giant panda, there are natural reserves and tourist spots such as Jiuzhaigou, Huanglong, Emei Mountain, Dujiangyan Dam and Qingcheng Mountain. With several major Tibetan tribes, the Sichuan Tibetan region has become a focus for European visitors and a hotspot for domestic cyclists. The Tibetan areas of western Sichuan have been earmarked as part of a world tourist destination that boasts the potential of attracting 600,000 tourists a year by 2020.